Iranian photographer Shadi Ghadirian lives and works in Tehran. 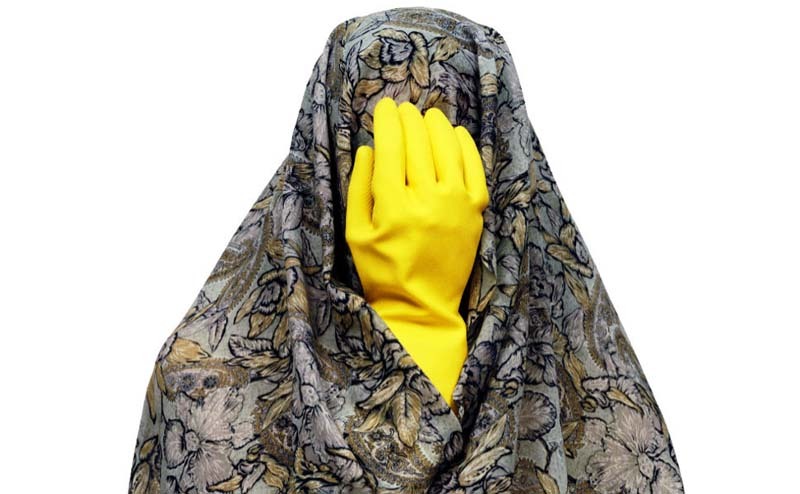 Her photographs, though at first glance somewhat humorous, reflect what she sees as “the duality and contradiction of life.” After her marriage, inspired by her wedding gifts, Ghadirian photographed her series Like Every Day in which each of these photographs depicts a figure draped in patterned fabric in place of the typical Iranian chador. 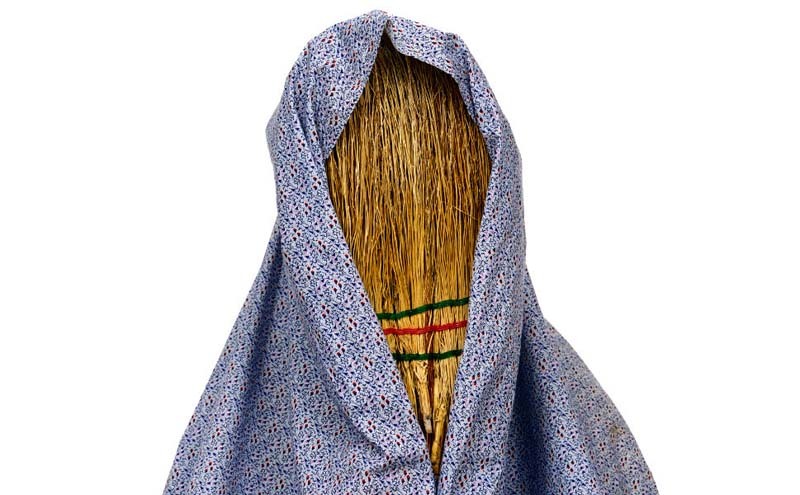 Instead of a face, each figure has a common household item such as an iron, a tea cup, a broom, or a pan, depicting the daily routine of many of the women that surround her yet, despite its focus on Muslim women, its relevance extends to women in other parts of the world as well. 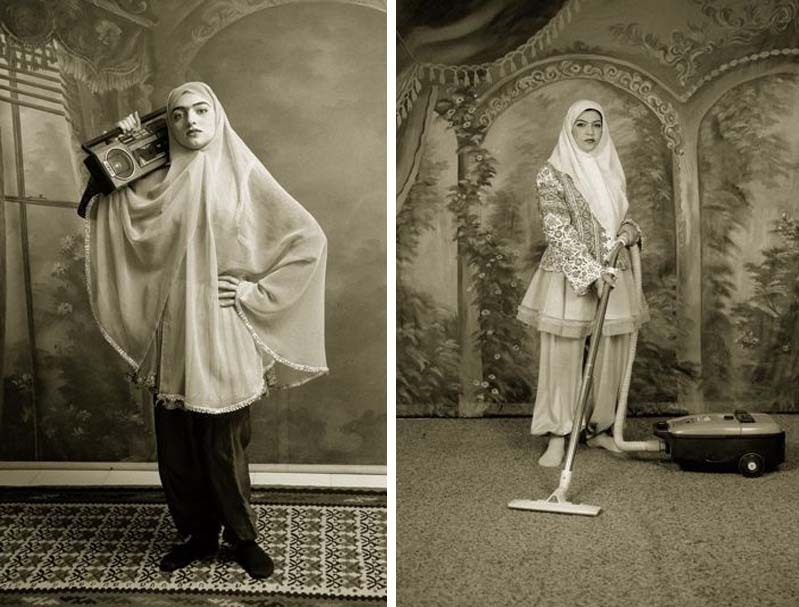 An earlier series titled Qajar (bottom two photos) is equally smart, reimagining the traditional Iranian portraiture of the late 19th century, but the veiled women carry boomboxes and other modern-day items.